If the legislative session were a mountain summit overlooking one of Hawaii’s islands, we’d be close to the top–with great progress behind us and one final push of commitment, endurance and optimism before we reach our destination. We’ve hit memorable peaks on the journey so far–as recently as last week, our team led conversations about computer science education at Hawaii’s annual STEM Conference with students from Molokai, Leilehua, King Kekaulike, Farrington, Castle, Kauai and Maui high schools! Let’s take a look back on 2018. 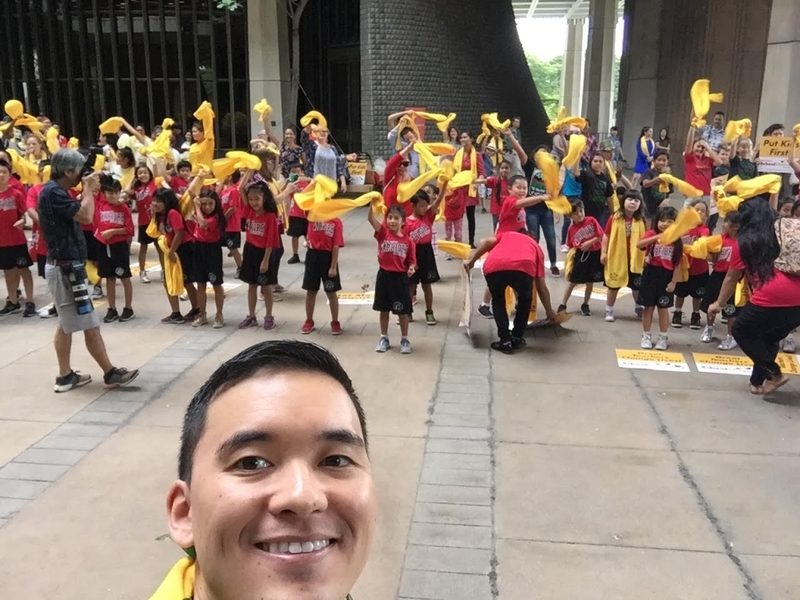 HawaiiKidsCAN enters the new year after launching in September 2017! We proudly share The Future of Education in Hawaii, our roadmap to great schools for all keiki. We rally at the Capitol with hundreds of students, parents, teachers and school leaders to celebrate National School Choice Week. Afterward, the Honolulu Star-Advertiser publishes an op-ed that I penned with Jeannine Souki of the Hawaii Public Charter Schools Network, calling for schools as diverse as our students. 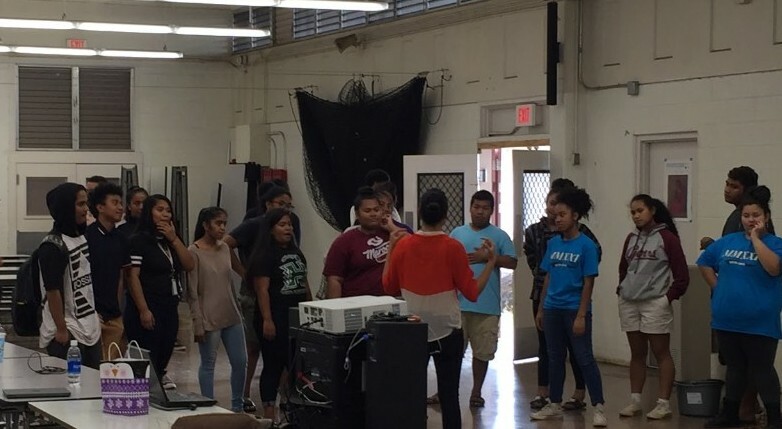 We open the doors for students to shape the future of public schools by launching our We Are Voices of Excellence (WAVE) pilot program at Farrington High School in partnership with Island Harmony, a great organization that supports underrepresented students through cultural activities and tutoring. 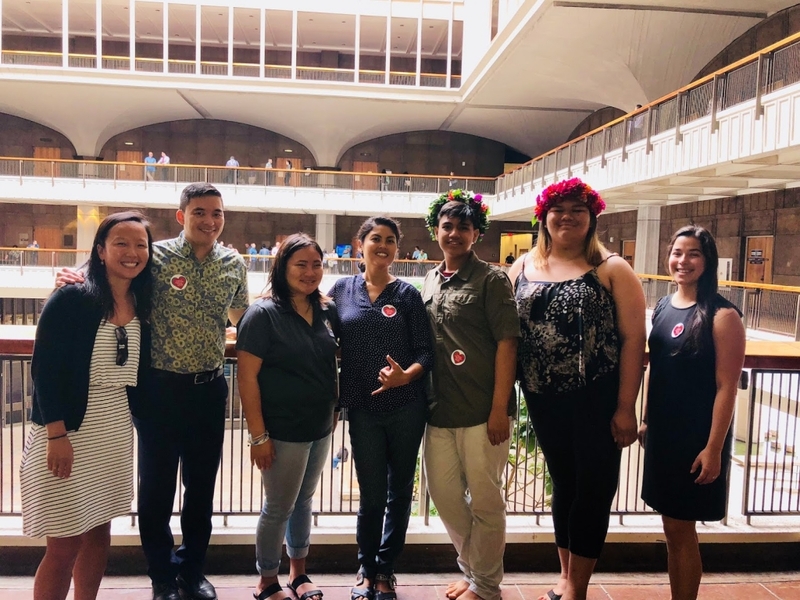 Together, you and our team rally behind computer science bills that would bring equity to STEM education and charter schools facilities funding in Hawaii–at some hearings, we rally more 60 percent of submitted testimony with plenty student voice! We publish our State of Computer Science Education in Hawaii 2018 report, and we to talk with Honolulu Civil Beat and KITV about computer science equity and access. 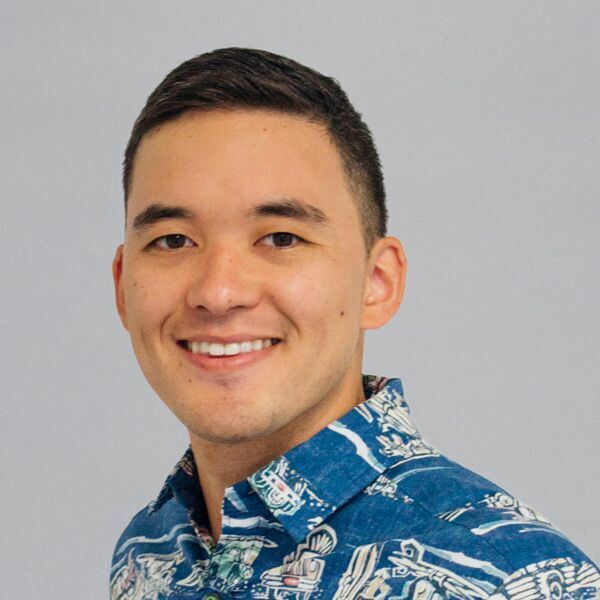 We partner with Teach for America–Hawaii and Education Incubator to empower Leeward Coast high schoolers through a shared week-long training fellowship in advocacy, education reform and leadership. The week culminates in a visit to the Capitol, and a celebration that included a screening of the movie Black Panther. 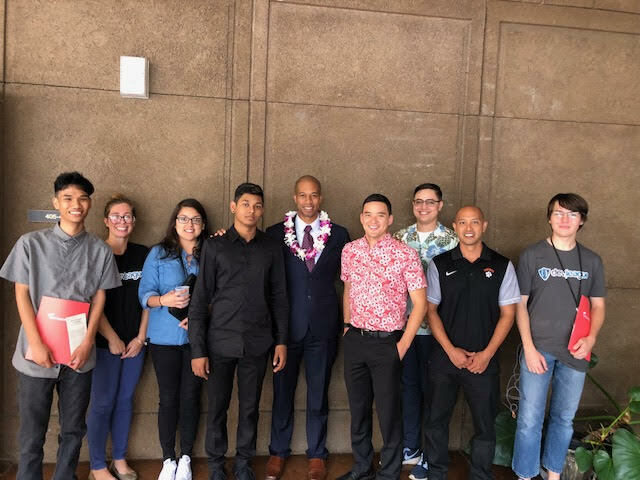 We visit the Capitol with some of the most innovative, ambitious, tech-savvy and hilarious Hawaii teens we know, from Campbell and Roosevelt high schools along with Campbell AP computer science teacher Justin Delos Reyes. We’re also joined by our partners at DevLeague as we speak face-to-face with lawmakers about the importance of policies to advance equity in computer science education. The students get a shout out on the Capitol floor by Senator Espero as part of the legislature’s Education Week. Students in WAVE attend the annual Micronesian Youth Summit, a large gathering of some of Hawaii’s most underrepresented student populations! Next week, important bills for computer science education (HB 2607) and charter school funding (HB 2508) are headed into conference, where lawmakers will discuss the proposals and come to their final decisions for 2018. It’s the last leg of the journey, and one of the most important–we need to contact our legislators. I’ll be in touch soon with opportunities to finish the legislative session’s climb with HawaiiKidsCAN. Thank you sincerely for being part of the journey so far. David is the founding executive director of HawaiiKidsCAN. He lives in Honolulu, HI.